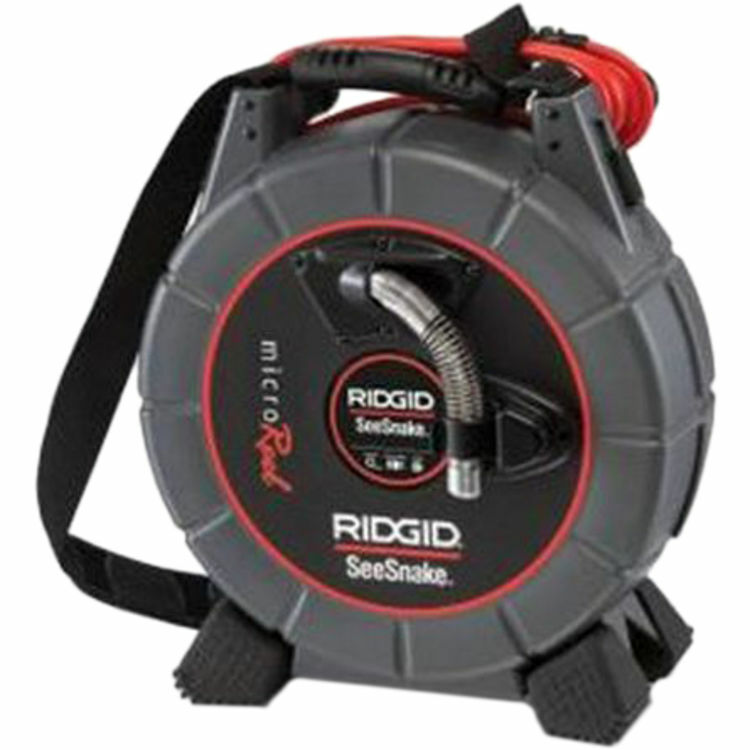 Ridgid 35148 Export 230 Volt Seesnake 100' MicroReel L100's small diameter and tight turn radius allows camera head to fit through 1.5" - 4" lines with stiffer push cable. With its multiple monitor compatibility the MicroReel will work with the MicroExplorer (with cable) and work with any other Seesnake monitor. MicroReel L 100 lightweight and compact design fits perfect in the truck of any car and easy to carry into any job site. Includes 512Hz Sonde in the camera head. Does not include MicroExplorer 30063 unit (sold separately).